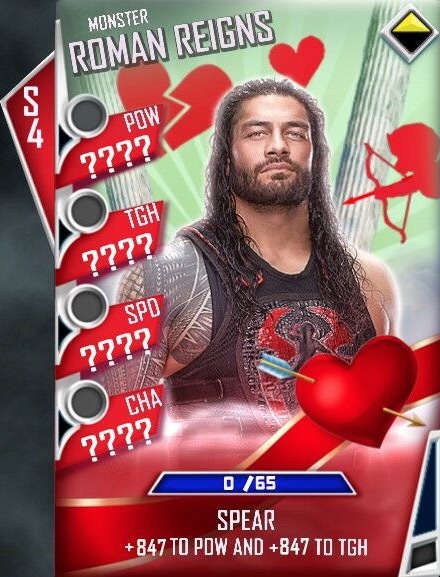 WWE SuperCard – Season 4 fans: Fusion Fury and Valentine’s Day! Fusion Fury, available beginning this evening, consists of three sequential recipes for completion, with each recipe requiring eight specific ingredients. Set up as a scavenger hunt for players, the ingredients are scattered throughout WWE SuperCard. Players will earn a special card for finishing each Fusion, but that reward is also a required ingredient for completing the next recipe. If players work their way through all three recipes, they’ll be rewarded with an exclusive Event card of the newly crowned Men’s Royal Rumble Champion, Shinsuke Nakamura! Players must search throughout the game for all the ingredients, including all game modes and events. However, they are encouraged to search quickly, as Fusion Fury will only last for two weeks! In addition, any pending Fusions won’t stop – even if Fusion Fury ends. In addition, beginning today, players can collect Candy Hearts in-game as part of a special Valentine’s Day promotion. Candy Hearts will start dropping from Draft Boards and are available for purchase in the Store, with limited quantities available daily. 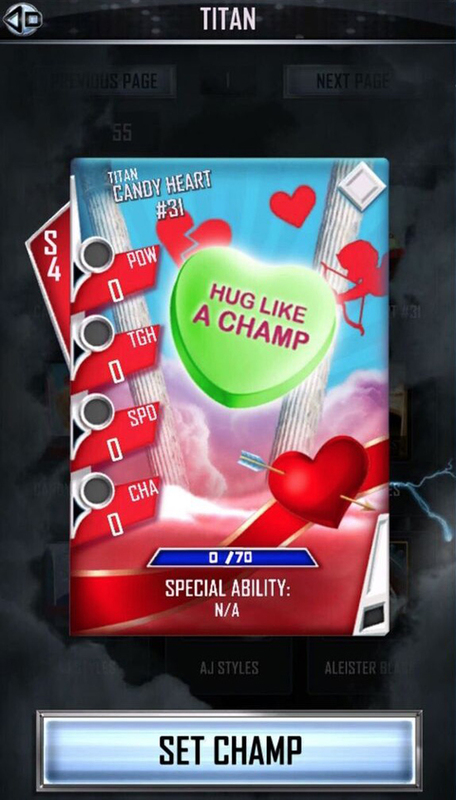 The Candy Hearts will turn into Valentine’s Day-themed Superstar cards on February 14. Players are encouraged to collect as many Candy Hearts as they can, as the Valentine’s Day cards are exclusive to this event!